When visiting the area, this is one thing you need to see. 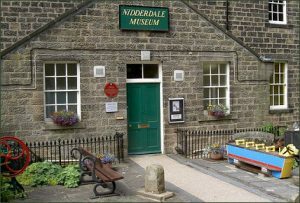 Situated in the picturesque town of Pateley Bridge, North Yorkshire, this fascinating and friendly museum is housed in the former workhouse and is situated opposite St Cuthbert’s Parish Church. Its 11 rooms illustrate the rural life of Nidderdale in the recent and more distant past. The Museum shows how ordinary people lived, in imaginative and realistic settings. There are sections devoted to Agriculture, Industries, Religion, Transport and Costume. The corridors are lined with photographs of local interest. Created by the artist Andrew Sabin, The Coldstones Cut is Yorkshire’s latest visitor attraction. 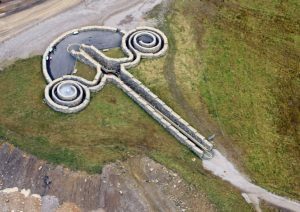 A massive construction which visitors can freely walk through and explore, the sculpture overlooks the huge working Coldstones Quarry and offers spectacular views over the scenery of Nidderdale in the Yorkshire Dales. A n amazing collection of weird and wonderful rock formations which makes a great day out for families, climbers and those wanting to enjoy the simple pleasures of fresh air and magnificent views over Nidderdale. Let your imagination run wild as you explore the labyrinth of paths through this unique landscape. 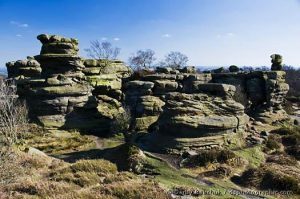 Only a few miles from Pateley Bridge, Brimham Rocks is served by the 825 bus service from the town on Sundays from Easter till October. 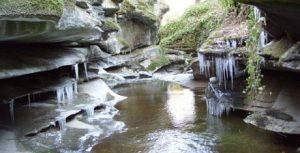 Prepare for adventure at the How Stean Gorge Outdoor Centre in Nidderdale, Yorkshire! 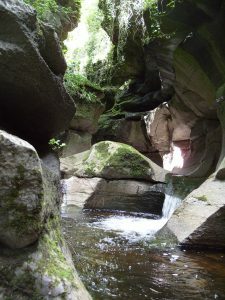 How Stean Gorge is a spectacular limestone gorge in the stunning Yorkshire Dales. This steep sided chasm is almost 1 km in length and up to 20 metres (80ft) deep in places. Follow winding walkways, explore caves and tunnels or challenge yourself on the new Via Ferrata course – an aerial network of beams, ladders and cables – one of only two in England! 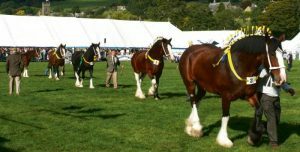 The Annual Nidderdale Show, held in the picturesque surrounds of Bewerley Park, Pateley Bridge, is one of the county’s foremost agricultural shows. It regularly attracts crowds of 20,000 and traditionally marks the end of the agricultural show season.